When temperatures drop in winter and homeowners seek warmth indoors, many find themselves missing the great outdoors. However, with just a few updates, homeowners can actually enjoy outdoor living, even when the weather says otherwise. For some inspiration to optimize your outdoor space for all the seasons, here are three helpful tips. To take advantage of your patio year-round, consider enclosing it with a roof to protect your family from the elements. You may also consider installing a privacy screen or enclosure to divide up your yard or outdoor space and make it more comfortable. In addition, outdoor curtains can help with managing drafty, breezy days and removing the chill from the air. 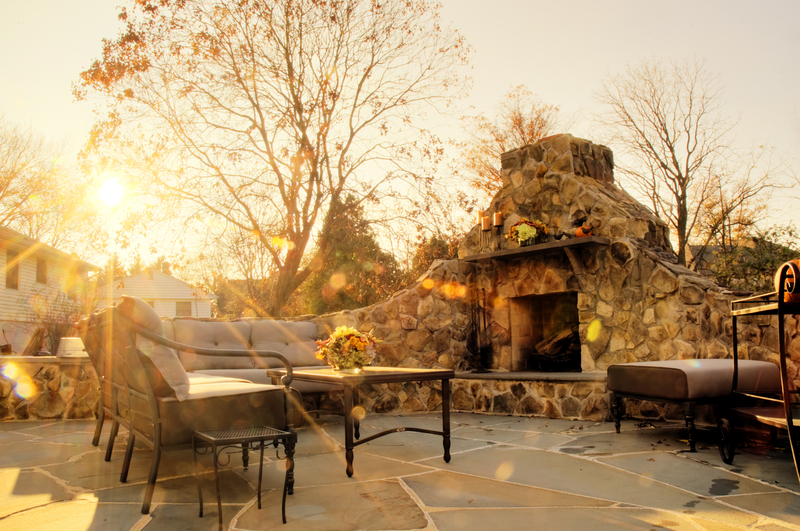 One of the biggest challenges of enjoying outdoor living space year-round is creating a comfortable temperature. By adding a heat source around your seating area, you can help create a cozy atmosphere where friends and family members will want to congregate. There are several ways to go about this, from adding a fire pit or a chimenea to an outdoor heater. A fire pit is a portable, low-cost option that’s available in either a wood burning or propane variety. A chimenea is an attractive heating alternative, typically made of clay or metal, that can vent smoke through its convenient spark screen. There are also several outdoor heater options to suit your specific case. When you’re creating a comfortable outdoor area, focus on incorporating some indoor elements to make it more inviting. For example, update the space with some furniture – preferably waterproof – as well as comfy cushions, so the area is both functional and comfortable. By maintaining a warm, dry space and upping the cozy factor, you’ll be more likely to want to spend quality time outdoors. If you’re looking to create a warm, inviting outdoor living space to enjoy year-round, look no further than Murphy Home Improvement in Cincinnati, OH. For over thirty years, they’ve remained one of the top remodeling companies throughout Northern Kentucky, Lawrenceburg, Indiana, and Ohio's Hamilton County. From entry door and window installations to beautiful siding, they’ll revamp your home while remaining in budget. To get your home improvement project underway today, give them a call at (513) 922-8989 or visit them online.